This summer we had a few overnight trips planned and with our then 2 year old being too large for the pack and play and not ready for a “real” bed, we looked for travel bed options. There were a lot of options out there, some were very expensive and we just couldn’t justify paying that much for the amount of times we were planning on using it. 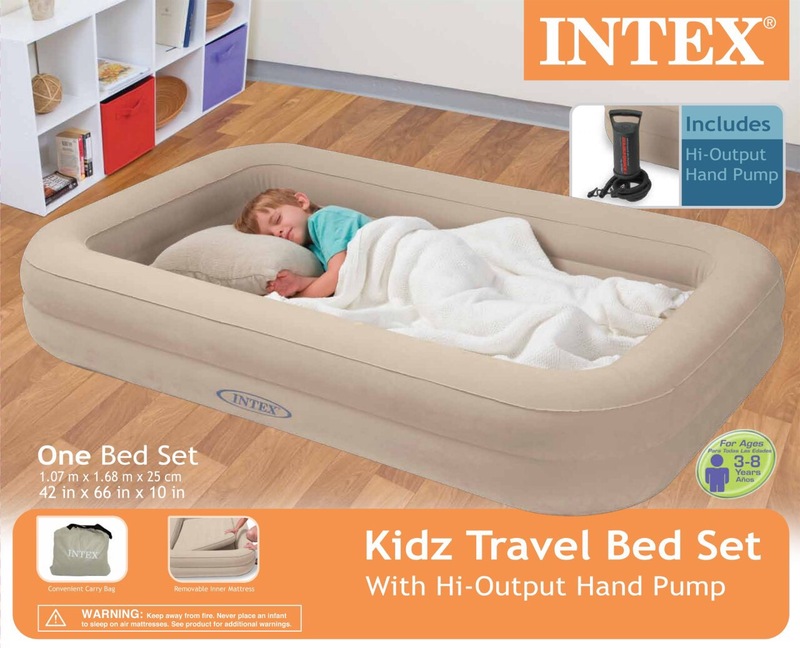 So we were happy when we found the Intex Kids Travel Bed. At just $40 we picked one up from Walmart. As a test we set it up in the living room to see if Maxwell would like it. Within minutes he wa curled up, watching his favourite show and asleep minutes after that! Success!! We used the bed for real this summer and he just loved it. He knew exactly what to do (full disclaimer he does sleep on a mat on the floor at daycare so the concept wasn’t New). The bed itself comes with a hand pump that looks like it would take a long time to pump, but it really doesn’t. There are two parts to inflant; the main mattress and the wall which creates a bit of a barrier around the mattress so that they don’t roll out. 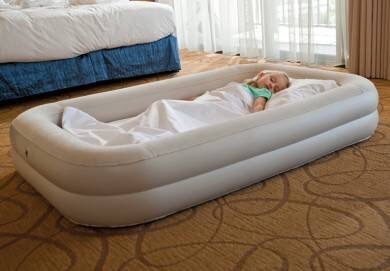 The mattress is the same size as a crib mattress. We used one of our crib fitted sheets to cover the martress as well as a the regular sheets he uses in his bed. At the time we didn’t use a pillow, but will for future use. Overall this is a fantastic Travel mattress that we totally recommend it! *i was not compensated by any companies mentioned in this post for my review.